This is an actual Colt 1911 pistol carried by a Texas Ranger. The Texas Rangers have famously carried the .45 caliber pistols for many years. 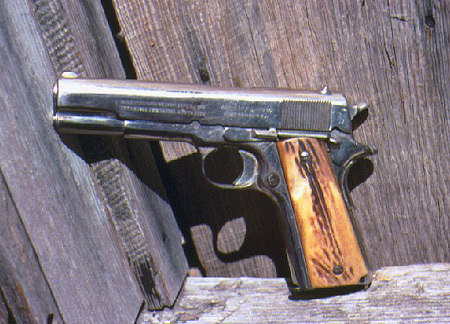 This example of the 1911 duty gun shows wear on the slide and frame with custom grips.